KAMPALA – The latest Twaweza’s Sauti za Wananchi report shows that four out ten Ugandans want schools that cheat in examinations to be closed down completely. 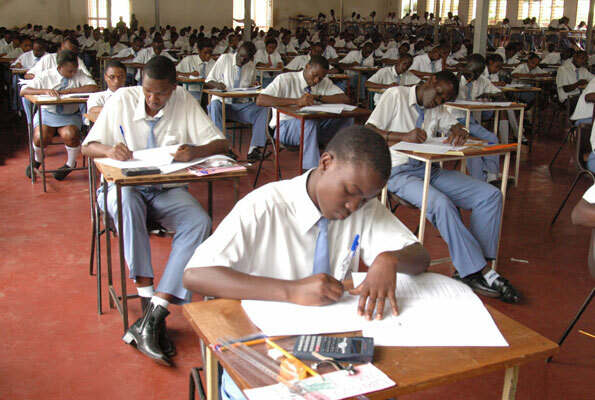 The report, released in Kampala on Thursday by Twaweza’s; new Sauti za Wananchi indicates that two out of ten [20%] of the Ugandans also want individuals involved in the examination cheating to be arrested and punished. “Citizens think that schools that cheat in examinations should be closed down [37%], those involved punished [11%] and schools have their results cancelled and be required to repeat [11%],” the reports reads in part. The report also highlights high school demands as one of the biggest problems facing the education of the child across the country both Primary [14%] and secondary [23%] schools. While releasing the report at Hotel Africana 8 November Twaweza’s Ms Marie Nanyanzi said during the survey, parents reported paying for tuition and extra classes [68%], food items [60%], school books and other scholastic materials [58%] and construction [57%]. Dr Goretti Nakabugo, UWEZO’s regional manager while discussing the report said parents must be involved in what takes place at school in order to help their children learn effectively. Dr Nakabugo said “Global research has shown that once parents get involved in the school programmes even when they are illiterate, children achieve better. So as parents we need to engage and gain confidence in the schools for better results of our children,”. She urged the ministry of Education to redirect the curriculum to empowering girls to acquire skills like resilience, self-confidence, assertiveness and patience in order to protect girls from early pregnancies and child marriages. “And let schools create safe spaces for girl-child in schools and let parents also create safe places at home in order help the girlchild from dropping out of school,” said Dr Nakabugo. She explained that schooling, whether we like it or not, is not just about academic performance but it has an impact on the child’s social and emotional wellbeing and health and other aspects of his/her development. “As a ministry, we were very careful when we started Universal Primary and Secondary Education. We never said it was Free Universal Education [UFE] but UPE or USE so it is not free like it has been misunderstood by many parents or been politicized as free,” said Dr Lusambu. “And yet the yet the White Paper on aims and objectives of primary education endorses the objective; to develop a variety of basic practical skills for enabling individuals to make a living in a multi-skilled manner,” he added. Dr Lusambu said the ministry of Education and sports and the national curriculum development centre are already reforming the curriculum alongside Creative Arts and Physical Education [CAPE]. He explained that the Art and Technology are practical subjects that equip individuals with basic skills and knowledge to exploit the environment for self-development as well as national development. He revealed that the restructuring of Art and Technology in the primary school curriculum is one of the strategies to equip learners with practical skills at an early age and that the revised Art and Technology curriculum will enable learners to participate in production activities as a source of gainful employment. “And using the knowledge and skills acquired, the learners will be able to impact the community in which they live to increase production and productivity and the curriculum will lead to increased household income, job creation, self-reliance and sustainable national development,” said Dr Lusambu. The report indicates that Citizens are also disengaged from school finances: about 59% of the citizens cant name what capitation grant is used for and only 2% know how much is sent to schools as Capitation grant.